The 2012 London Summer Olympics marks the first time in Olympic history that all participating countries have female athletes competing. The ancient Olympics, of course, did not allow females to compete. And the very first modern Olympics in 1896 had no women competing. Pierre de Frédy, Baron de Coubertin, founder of the International Olympic Committee (IOC) who organized the 1896 Games felt that their inclusion would be “impractical, uninteresting, unaesthetic, and incorrect.” Four years later, as part of the 1900 World’s Fair in Paris, Summer Olympics were organized but this time without de Coubertin and other IOC members for various political reasons. Most significantly, women were allowed to compete. The age of modernity had set in. Whether cycling, playing basketball, campaigning for the right to vote, or going out in public without a chaperon, the New Woman had arrived and was ready to demonstrate she was more than just a domestic goddess. 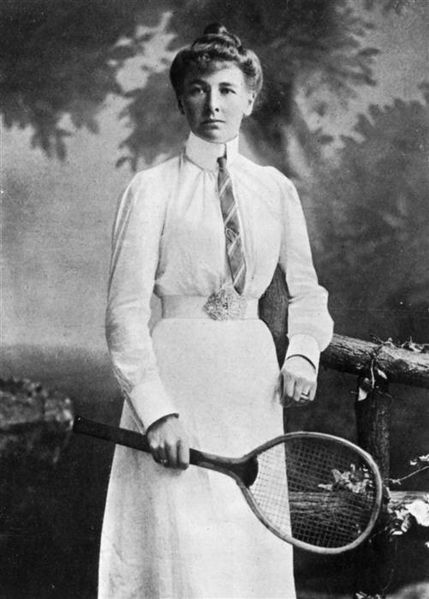 While tennis and golf were the only sports that held events for just women, women athletes competed in a total of five sporting events at the 1900 Olympics. Interesting, the 1900 Olympic Games did not award medals for first, second, and third place; only first and second. The IOC retroactively has gone back and awarded gold, silver, and bronze medals for first, second, and third place accordingly. Originally having arrived in Europe to study art under Edgar Degas and Auguste Rodin, Margaret Ives Abbott was the first American woman to win first place in an Olympic event. She and her mother entered a nine-hole, women’s golf tournament not realizing they were part of the Olympic Games that year, like many of the competitors, as the event was so poorly organized. She died in 1955 never realizing she had competed in what was considered an Olympic golf tournament and the she had won Gold. She and her mother were among ten women playing golf that year. Competing against seven men in Croquet were three French women named Marie Ohnier, Madame Després, and Filleaul Brohy according to the Journal des Sports and La Vie au Grand Air, a weekly Parisian sports journal. The 1900 Games would be the first and only time Croquet was an official sport in Olympics. None of the women placed in the top three. 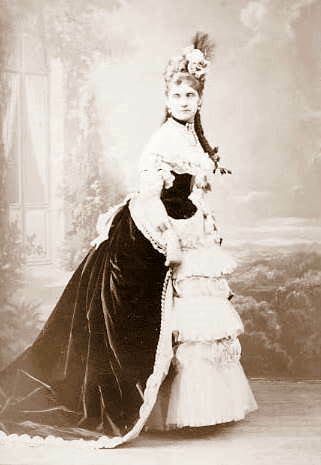 Hélène de Pourtalès, playing for Switzerland, may be one of the most contested female athletes from the 1900 games. It’s believed she was a member of a co-ed crew in the Yachting events on the Swiss boat Lérina, which won a gold medal and a silver medal in two competitions. However, some believe that she was the owner of the yacht, and therefore her listing as winner was as the owner, not an actual competitor. And probably one of the least known, but arguably most fascinating, competitors from the 1900 Paris Olympics was Italian horse-rider Elvira Guerra. She was the daughter of an Italian circus owner and began her equestrian career in the Big Ring as a ballerina horse rider. She finished ninth place in the Hacks and Hunter combined event, which is pretty much just riding a horse according to this blog. 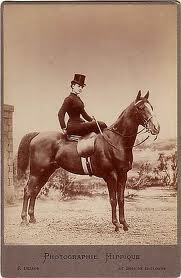 Nevertheless, she did compete side-saddled, which to this contemporary woman is no small feat. Like the croquet players and the sailors, she competed against men. 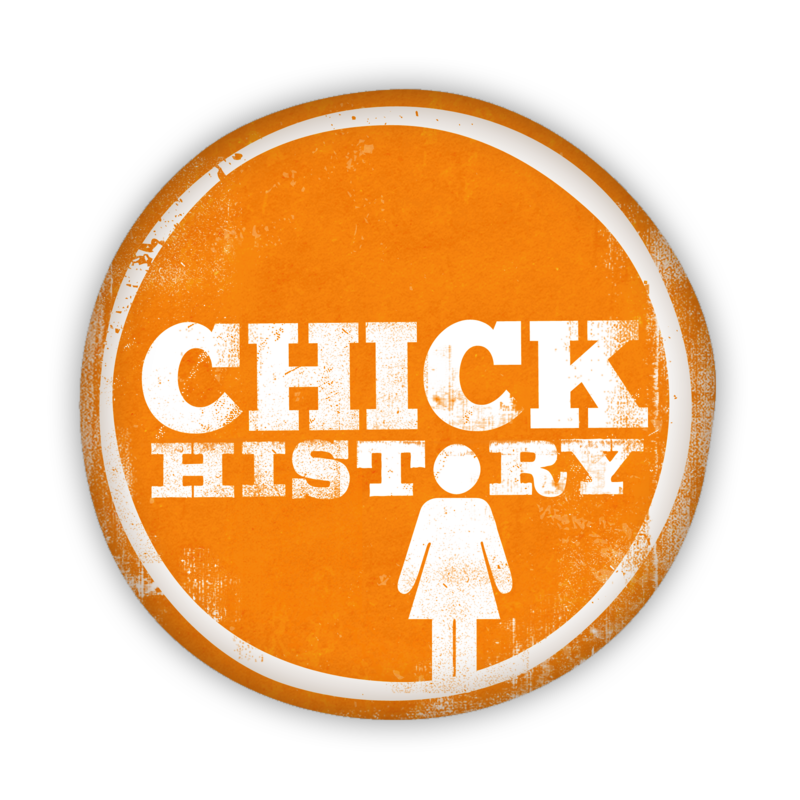 It’s possible that one other woman competed but her name is lost to history. Hack and Hunters is no longer an event and some question its official inclusion in the Olympic program for 1900. Information for each competitor is taken from the website SR/Olympics. Mallon, Bill. “The First Two Women Olympians” in Citius, Altius, Fortius, Autumn 1995, No. 3, p. 38. Available in pdf format from the AAFLA. The Olympic Games were originally celebrated in ancient Greece and revived as an international competition in 1894 by French Baron Pierre de Coubertin. The first games of the modern Olympiad took place in Athens and featured 245 athletes from 14 countries. Women competed for the first time at the Paris Olympics in 1900.